One of ThePowerPointBlog viewers sent me a link to this story. My daughter is in 4th grade and has used PowerPoint for several school assignments. Here students in Iowa needed to a read a book and write a book report. All standard school stuff. But their book report had to be created as a PowerPoint presentation! 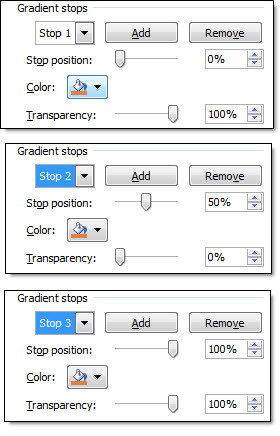 Using the previous post’s sample, here is how I set up the animation on the slide. 3. 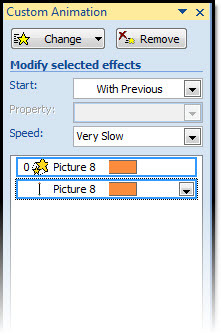 Drag 1st lines animation under 2nd line (2nd animation). So it fades in as the 2nd line of text expands. The animated sample slide can be downloaded here (47K ). 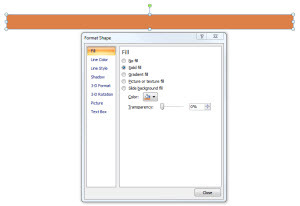 To create the divider line, start with added a basic rectangle – no outline and the fill color you want. Then change to a Gradient Fill. 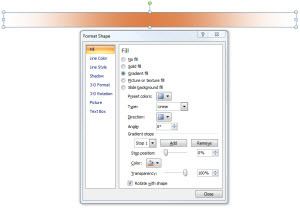 Last, adjust the rectangle height to be smallest possible. For a recent project I needed some eye catching callouts/starbursts. I created a series of 3D stars and overlayed text boxes with the key phrases (New, Now, Available, etc.). It was a quick solution that looked really nice. I started with a simple Star autoshape. 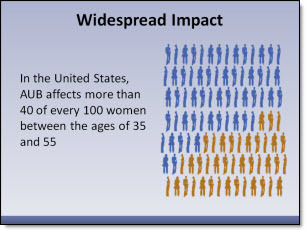 Adjustments to several tabs of the Format Shape box was all that was needed to create the visual. One of the tricky adjustments is changing the perspective to have a left facing star and a right facing star. Only 2 tabs are needed. 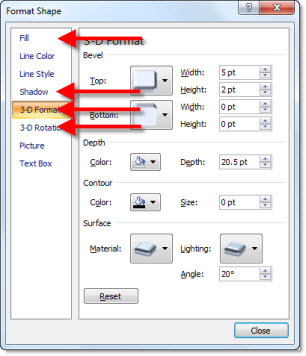 The Shadow tab, adjusting the Angle and the 3D Rotation tab. Compare the numbers on the Rotation tab. 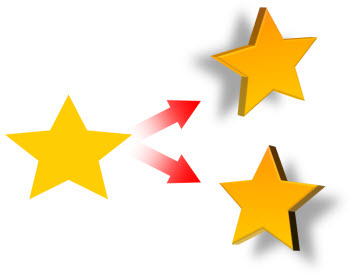 You can download a slide with these 3D stars on it here (33k ). PowerPoint is a ubiquitous office application and I think you know you’ve arrived when cartoon character Dilbert references it. This one is worth checking out! This goes beyond a cartoon and is actually a full screen image of a ‘dilbert’ PowerPoint presentation designed to hide your March Madness (basketball) viewing. It is activated with the “Boss Button” on the NCAA.com video player. 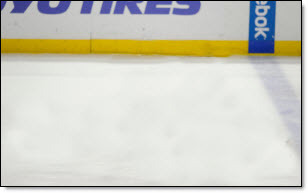 Living in Southern California, Hockey is not really a focus for me. But with the excitement of the Winter Olympics hockey match up I was inspired to create this animation example. A popular animation effect used in recently (especially in commercials) is a zoom and pan where the background stays in place and key elements slowly lift and move to create depth and motion from a static image. 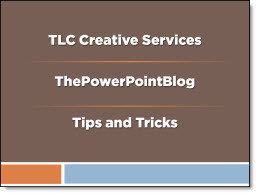 The effect is not difficult in video or PowerPoint, it just requires a lot of prep work. 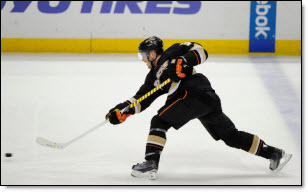 Then in PowerPoint I inserted 2 images; the hockey player and the blank background. 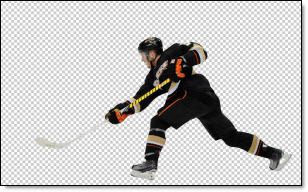 Then applied the zoom and pan animation (grow/shrink 120% and motion path) to the hockey player image. The result is a subtle motion to the slide that adds a nice polish and depth to what would be just a standard slide. Download the sample slide here (1.14MB ). I recently made use of NewsMap for some great visual images to visually show the trends being talked about by the presenter. NewsMap is actually an old web based application that has had some big improvements recently. 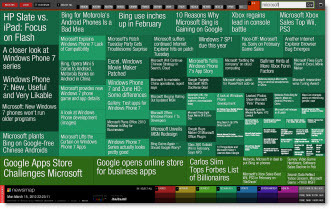 NewsMap visually shows any topic from the Google News aggregator in a treemap. The treemap shows the topic in bands and sized boxes that show patterns in news the reporting at that moment. Of note – the newsmap images change quickly as the news changes. So my sample Newsmap of “Microsoft” will have a different layout when you create it for the same topic. 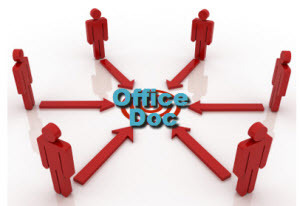 DocVerse is a company Google purchased last week that aims at making its online Google Apps more appealing to MS Office users. DocVerse is ironically a startup founded by two former Microsoft key employees. Colaboration (having multiple people work on a document seamlessly) and cloud computing are what 2010 is going to be all about. 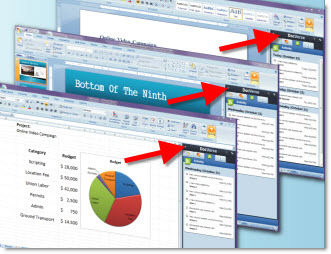 DocVerse is an add-in to Office 2007/2010 that adds great colloboration tools to PowerPoint, Word and Excel. 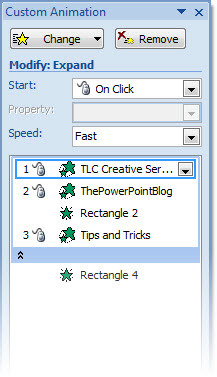 While they are really good, starting in June these features are going to be a part of the upcoming Office 2010. Google is all about cloud computing and while DocVerse does not add any new features to its apps directly, what is does do is allow MS Office users to upload their MS documents into the Google cloud and work with them, colloborate on them and enter the Google app world without changing them from the MS format. 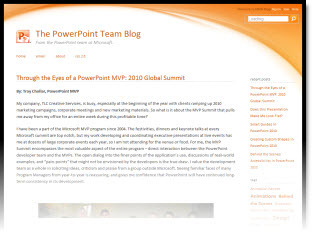 It seems to me, this is acknowledgement that every company, even Google, needs to integrate working with MS document. And second, the full featured desktop application is still superior to cloud based versions. In the original slide there was a nice graphic and the layout was clean and balanced. It did not have bullet points for the text, a small graphic or many other common layout issues. For the presentation makeover a series of colored and slightly beveled shapes were used throughout. 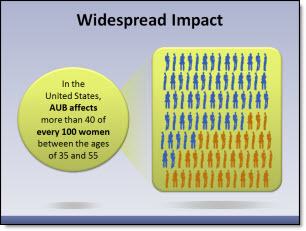 Keeping consistency the text was highlighted on the circle, the demographic image on a rounded corner rectangle and the two connected with the gradient (triangle).